This episode had a really good mix of suspense and mystery, closer to Seasons 1 & 2 Lost. Early on in the episode, we get a flash-forward of Jack. He sees a story in the newspaper that says that the “Yankees Bludgeon the Red Sox in Series Sweep.” At first, I thought that this was some kind of alternate reality or changed future. But then I realized that it was probably just referring to a regular season series and not the 2004 world series where the Red Socks wound up beating the Yanks. These flash-forwards are supposedly taking place in 2007 so that would make more sense. Later in Jack’s flash-forward, he goes to visit Hurley in the Santa Rosa Mental Hospital. Hurley hasn’t been taken his meds because he believes that he and the other Oceanic Six are all dead and that none of them actually made it off the island. Hurley asks Jack about his day and Jack tells him of his life now with Kate and Aaron. Hurley compares Jack’s life with Kate to heaven. Hurley then mentions that he still sees Charlie and talks to him and Charlie had a message for Jack: that he’s “not supposed to raise him,” apparently referring to Aaron. Hurley then tells Jack that he would also be getting a visit from someone soon. 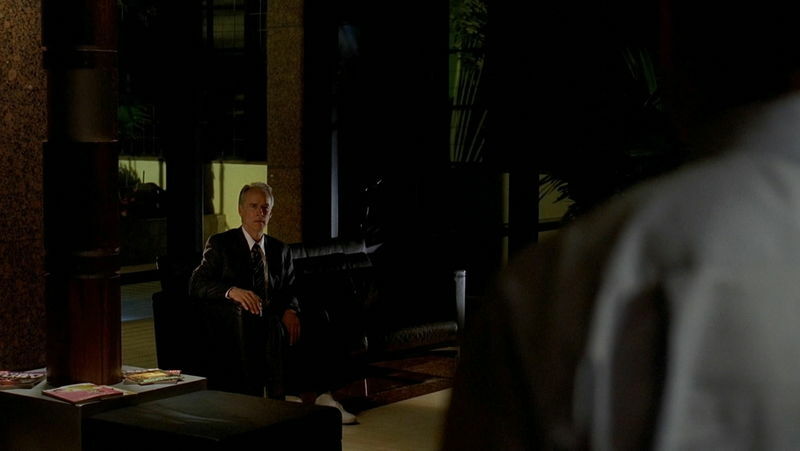 That person winds up being Jack’s father, who Jack sees clearly sitting on the couch at the hospital where he works. So are Charlie and Jack’s father still alive? 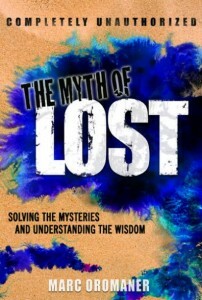 The simulation theory presented in The Myth of Lost predicted that they were, but not in the ghostly way that they’ve been appearing on the show. An explanation could be that all these flash-forward scenes of the Oceanic Six are only occurring in their minds. If Jack and the gang had convinced themselves that they’d left the island when they really hadn’t, this conflict may have knocked them offline from the simulation, putting them all into comas in the outside world. Since Charlie and Christian Shephard are outside of the simulation, they may be speaking to the unconscious Hurley and Jack respectively, trying to get them to return to the simulated island and back online. Hurley and Jack could be hearing Charlie and Christian’s voices and envisioning them as ghostly versions of supposedly dead people in their collective dream. The reason it would be collective is because they’d all still be connected to each other’s minds. This theory is supported by Hurley’s remark that they never got off the island and that Jack’s life seems almost too good to be true. It is also supported by the scene where Jack is reading Alice’s Adventures in Wonderland to Aaron—a hint that perhaps they are not in a real realm. The biggest hint, however, comes from the title of the episode, which was based on something Bernard said before he puts Jack to sleep for his operation. Just before Jack is knocked out, Bernard says that instead of feeling the pain of the appendectomy, he could be dreaming of “something nice back home,” i.e., his relationship with Kate. This seems to imply that Hurley is correct and that the flash-forwards aren’t real. The possibility that they are actually a shared delusion resulting from a group coma would work out very well with the simulation theory as explained above. While seemingly convoluted, this scenario happened almost exactly as described on the show that currently follows Lost, Eli Stone. When Eli went unconscious during an operation to remove a brain aneurism, his comatose state was intercut with his life the week before the operation. 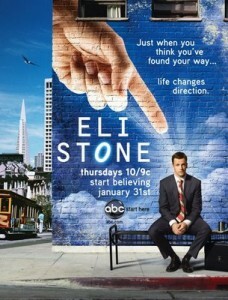 However, we eventually learn that these flashbacks are actually occurring within Eli’s mind while he is within his coma. And every time he’s seeing someone in his flashback, those people are actually speaking to him from his bedside. This could be very similar to what’s happening to the Oceanic Six, but instead of imagining their past, they are envisioning their future, and their visions of Charlie and Dr. Shephard are just those people talking to them from outside the simulation, trying to get them to return to the island, and therefore, consciousness. The other big reveal from this episode is that Claire sees Dr. Shephard on the island and calls him “dad,” and that in the flash-forward, Jack implies that Kate isn’t even related to Aaron while Jack is. While we already knew that Dr. Shephard was Claire’s biological father, this had only been shown in flashbacks and never mentioned on the island. According to the simulation theory, Dr. Shephard may or may not still be her father since the island is still part of the simulation, and Claire may just be pulling the image from Jack’s mind. Still, even if Dr. Shephard is really her father, this could also be explained since he may have paid for both Claire and Jack to go in together. Since this is more likely the case, it is possible that Jack learns from either Claire or his dad that Claire is his half-sister. Interestingly, everything that has been revealed with these last two episodes seems to fit in well with the simulation theory.